Limited Edition! Was assembled on August 7th, 2015 between 5:30-6:35 GMT+3 when the Solar energy is most authentic and powerful, which is when the Sun is in its own Sign of Leo. This is the purest expression of the Solar principle, therefore the best time to invoke the Unity of the Sun in us. 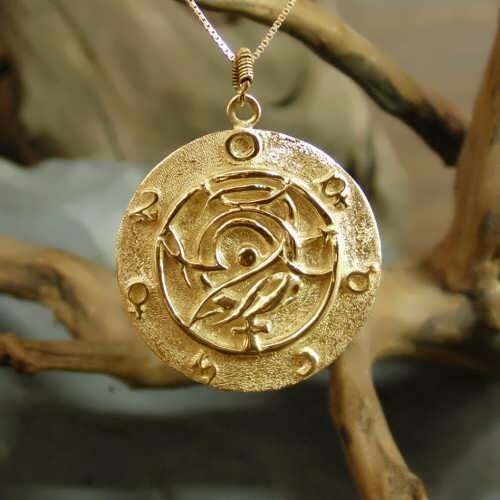 This special Talisman Is based on this famous alchemical axiom which states that the great work is finished only when the seven active principles, as are reflected by the seven visible planets, are returned to the one, which is analogous to the Sun itself. Hermetic, platonic and neo-platonic cosmological models all start with the One and undivided ultimate existence which gradually emanates into different generative principles, in different levels of being. The One is considered the source of all there is, to which all must return. The One is associated with the Sun as the single center and source of generative life force for our system. The Sun emanates its light and life to all its “moons” which are all the planets In our solar system. As the light is reflected back from the different moving celestial bodies it is actually reflecting different aspects of the Sun (the One) therefore dividing different active powers from it. the other six classical Planets are the main reflective bodies, as experienced from earth, as they are the strongest in reflecting the Sun's light, and therefore visible. The classical planets (including the Sun) correspond to the seven active principles in the soul and in nature. 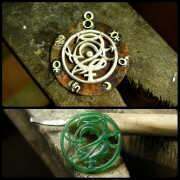 In alchemy, they also correspond to the seven primary metals. The alchemical axiom is also interpreted in this metallurgic alchemical sense, as all metals come from gold (which corresponds to the Sun) then all metals must return to gold. The drawing for the Talisman comes out of a manuscript entitled “Paradoxa Emblemata”, which was written in the 18th century by the Christian mystic D.A. Freher (1649–1728) who was inspired by the work of the German mystic and theologian Jacob Böhme (1575 – 1624), in this case specifically the book entitled “De Signatura Rerum” (the signatures of all things) which is a book on magical natural philosophy and alchemy. 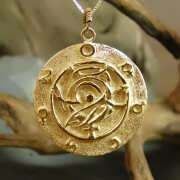 For this Talisman, we have chosen the time when the Solar energy is most authentic and powerful, which is when the Sun is in its own Sign of Leo. This is the purest expression of the Solar principle, therefore the best time to invoke the Unity of the Sun in us. 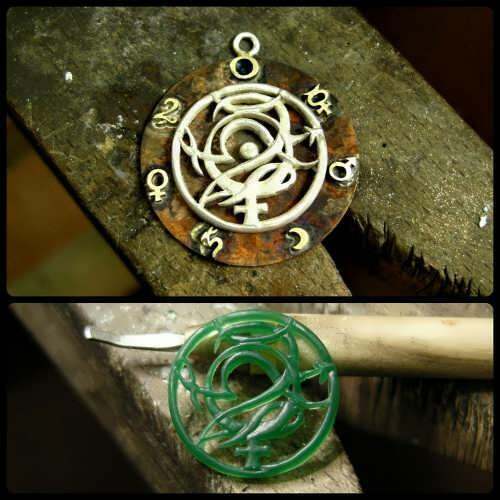 On the outer circle of the Talisman we see all the planetary glyphs individually and inside the inner circle, they are all superimposed on one another, making an intricate and complex synergetic symbol of their combined forces.